When you’re trying to decide which tools to pick up and add to your toolbox as a contractor it can be hard to narrow down to the tools you’re going to use the most. It’s important to not only choose tools that will increase your ability to work faster and smarter, but that which will also be versatile and sturdy. The last thing you want is to pick up a tool and have it break only a few months into using it. Quality is more important than quantity, and having the right tools is more important that having every tool on the market. So, what are the common contractor tools that you should be using or adding to your toolkit? As a contractor or construction worker you’ll be working on a wide variety of projects, so it’s imperative to have the tools necessary to tackle this diverse of a project list. 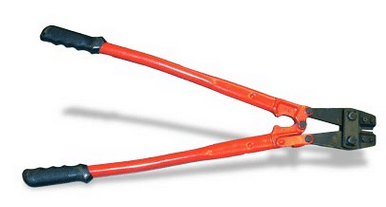 Bolt cutters not only save time and energy but are required in many projects. The New Design BNBC Bolt Cutter causes these jobs to move smoothly. It comes in three sizes, it cuts to the edge of the blade without damaging the blade, and it’s made of premium alloy steel, so it lasts for years. The amount of projects that require a bolt cutter are endless, and this essential tool will prove to be a perfect investment time and again. A drill is the most efficient tool available for creating holes in any material. It could be various types of wood with varying amounts of hardness, different grades of metal, even brick. As a builder, you’ll eventually need to drill a hole in something challenging. Every drill usually comes with a bunch of different bits which allow you to select the perfect size for the task at hand. The correct drill for every job is imperative to have. The wrong drill for the specific task can break the drill bit or the drill itself and can damage the material being drilled. The wrong drill – or even the right drill being used improperly – can even injure the user. When it comes time to choose a saw there are several options available to you. Although manual saws still work for smaller projects and therefore are important to keep on hand, most building projects require the use of power saws, so the project moves forward at an efficient pace. 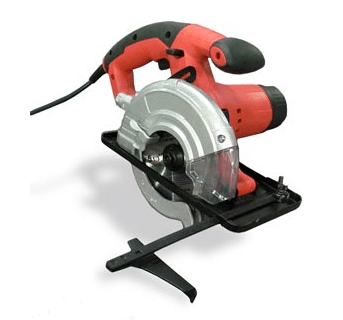 An example of a power saw is the BNMPC-135 Mini Metal Saw. This saw is very lightweight, which makes it easy to handle and maneuver. The depth this saw reaches is equal to a 2 x 4 wood stud. Aside from the blade, this saw comes with two extra blades that can cut through metal, and a vacuum attachment for cleaning up loose wood shavings. Being able to measure accurately will save you a lot of time and extra work when you’re on the job. By using these on a regular basis you’ll avoid the need to re-do any work, and save any frustration. Aside from the classic bubble levels, there are laser meters, which employ a laser to ensure everything is in alignment. These are much more accurate than the classic level and standard tape measurers. In addition, the speed at which you can progress through your construction project makes up for the initial investment a laser meter requires. A concrete mixer will come in handy during any construction project. The BNR6169 Paddle Mixer allows you to mix concrete very quickly and easily. This is a variable speed mixer that can mix up to 20 gallons of concrete at a time. Having a concrete hand mixer will allow you to mix and pour your concrete from the same location so you can avoid the extra effort. We hope this list has been valuable and you have a better understanding of what tools you need to consider adding to your repertoire, to ensure you always have the right tools for the job.